For the best chance of acceptance, proposals should be timely and relevant to toxicology. Before you begin preparing your proposal using the steps below, it is recommended that you review the video recording of the 2019 “Empowering the Endorsers: Developing Competitive Scientific Session Proposals” webinar. You do not have to be an SOT member to submit a proposal for consideration. However, an SOT member must be listed to serve as a chair of the session, if accepted. You may serve as a chair for only one accepted session per Annual Meeting and as co-chair for only one (other) accepted session per Annual Meeting. Use the expandable boxes below to view additional information and requirements for proposals of each session type. These sessions emphasize quality presentations of a wide range of courses that cover established knowledge in toxicology, as well as advanced techniques or approaches for those with experience in the field. Structured approach for gaining an understanding of a developing or established field. Can focus on introducing the essential features of a field of interest. Intended to present techniques, ideas, and concepts that are more established than those suitable for Symposia and Workshops. The CE courses are taught on the Sunday of the SOT Annual Meeting. Courses are offered in three time slots—Sunrise, Morning, or Afternoon. Sunrise: Consists of one or two brief presentations followed by an optional question-answer session for a total of 45 minutes of session time. Morning and Afternoon: Run for approximately four hours with one 30-minute break. Generally, a brief overview by the chairperson (10–15 minutes)is followed by four to six presentations for a total of 3 hours of presentations. Assignments for Morning and Afternoon slots are made by the CE Committee. For the 2020 Annual Meeting, the CE Committee has developed a list of desired topics. These topics represent new realms of toxicology in need of a CE course, topics where an update or new course is warranted, and topics of noted interest to SOT members. Please note that proposals on ALL topics will be considered by the committee and this list is intended to encourage additional submissions. For CE courses, there is a need for a balanced offering of courses, which is an important consideration in the selection process. There is a concerted effort each year to provide courses that update fundamentals, integrate advancing technologies, and provide advanced expertise. The intent of these courses is to meet the diverse needs and evolving careers of the SOT membership. To view a listing of past CE courses, visit the CE Course Archive. Note: While the submission timeline is the same for CE courses as other Scientific Sessions, the development of the session has a different timeline than other sessions. CE courses are developed months before the Annual Meeting, with presentations finalized in by the beginning of January, obviating the opportunity for last-minute changes. Due to this accelerated timeline, the SOT CE Committee and staff provide significant help in forging and organizing courses, as well as supporting the course presenters in this process. These sessions provide tools and resources to toxicologists that will enhance their professional and scientific development by identifying training needs and employment trends, among other opportunities. Facilitate the recruitment and retention within SOT of outstanding students pursuing careers in toxicology. Provide indispensable information for the scientific and professional development of toxicologists. Enhance networking and increase involvement of SOT members at every stage of their careers. Increase the number and scope of diverse scientific disciplines represented within SOT. Increase the recruitment and participation of members from underrepresented groups. Broaden the representation of participation of international members. These sessions review a historical body of science that has impacted toxicology, including the work of multiple laboratories and the resulting advancement of the science. * For a traditionally 80-minute session to be considered for a 165-minute session, the proposal submitter will need to provide a letter with clear justification of why the extended time is warranted when the proposal is submitted (see Submitting Proposals). These sessions are not based on the outcome of specific scientific research but are sessions that present the latest science in toxicology or other learning opportunities not directly related to career development that address the professional interests and needs of toxicologists. The goal of these sessions is to provide attendees with tools and resources to ensure that the value of toxicology is widely understood, accepted, and utilized in enhancing human, animal, and environmental health. Outreach and communication to increase public awareness and understanding of toxicology in alignment with SOT objectives. Practical information that provides educational opportunities in toxicology and facilitates an exchange of ideas. The need to promote the development and utilization of appropriate and relevant science in risk assessment and regulatory decision making. These sessions focus on topics of relevance that describe public health and/or ecological problems of the region in question. These sessions are moderated discussions on controversial topics, where the presenters provide three- to five-minute statements followed by balanced time for discussions and questions. These sessions feature cutting-edge science that is exploring new areas, concepts, or data at the forefront of toxicology. For 90-minute sessions, two or three speakers are expected, with three being the preferred format; no more than three speakers will be allowed. For topics that are more controversial or mature, the SPC is requesting the session organizers propose a balanced speaker roster to ensure input from all sides of the issue or all sectors of the SOT membership (in the case of matured topics). However, for less controversial topics or depending on the state of the science, the SPC recognizes that it may be appropriate to have only one or perhaps two membership sectors represented in the speaker roster. ^A limited number of symposia and/or workshops are designated Innovations in Toxicological Sciences (ITS) or Innovations in Applied Toxicology (IAT). ITS-designated sessions introduce new technologies or scientific disciplines to the membership, while IAT-designated sessions introduce innovative approaches in applied research. To apply for the IAT or ITS designation, you must submit a letter providing a clear justification for these designations when you submit your session proposal (see Submitting Proposals). These sessions are informal, interactive presentations that highlight state-of-the-art knowledge in toxicology. These sessions should emphasize a discussion component. The purpose of the session should be clear and well-defined. Having complete individual presenter draft abstracts is strongly encouraged. While not required, having this information improves your proposals chances. Final abstracts will be requested after acceptance. The Scientific Program Committee must be able to tell the difference in the roles of your presenters from the proposal. The lengths of each individual presentation are not necessary for the proposal submission and should not be included. Session chairpersons and co-chairs must ensure that their session complies with the Society’s criteria for the care and use of animals in research . Avoid the use of report or book references, abbreviations, or technical jargon. Describe the subject, highlighting the scientific issues, innovations, or research to be addressed. Do not name or reference presenters or the titles of their presentations in the synopsis. There is a limit of 5,000 characters for the description of your proposal submission (including spaces). Please remember that the session overview abstract will be used in the Annual Meeting materials as the “marketing” abstract. For CE courses, the topic should have a broad appeal across employment sectors. 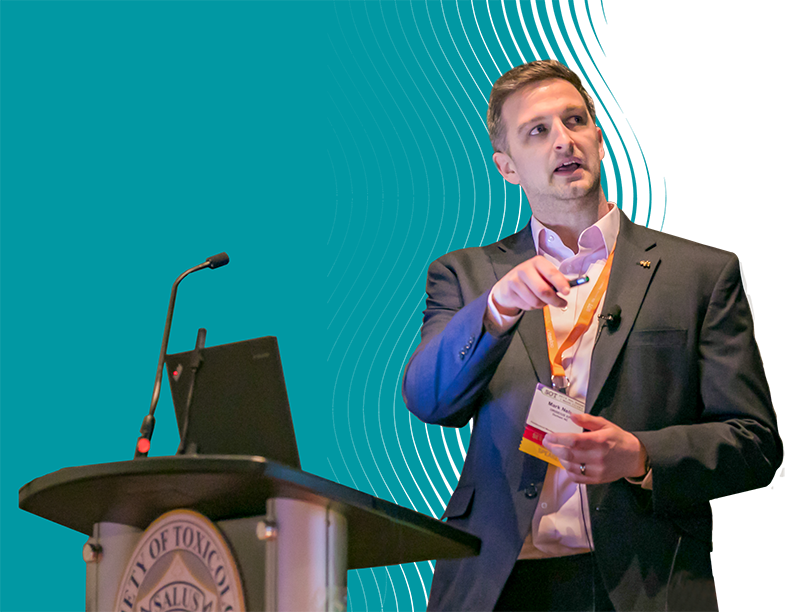 When selecting presenters, they must be available to be in Anaheim on Sunday, March 15, 2020, for CE Courses and from the morning of Monday, March 16, 2020, through the morning of Thursday, March 19, 2020, for Scientific Sessions. The final schedule will be announced in fall 2019. Funding for nonmember presenters is available. The nonmember funding policy varies depending on the session type. The earlier you start this step/process, the better the chance your proposal will be approved/accepted by the Scientific Program Committee (SPC) or the Continuing Education Committee. Over the years, the SPC and CE Committee have found that proposals which have undergone the editing and refinement process with potential endorsers prior to submission receive higher scores and ranks during the review. Each endorsing group has unique, internal deadlines that are separate from the established SOT session proposal deadline. This pre-review is highly encouraged by the Scientific Program Committee. Please check with each group individually in advance of the deadline to ensure that your proposal receives the appropriate feedback before submission. © 2019 Society of Toxicology. All rights reserved.